The Tecno Phantom 6 Plus (A9) is powered by the MT6797 (Mediatek Helio P20) SoC and ships with Android 6 (Marshmallow) upgradable to Android 7 (Nougat). 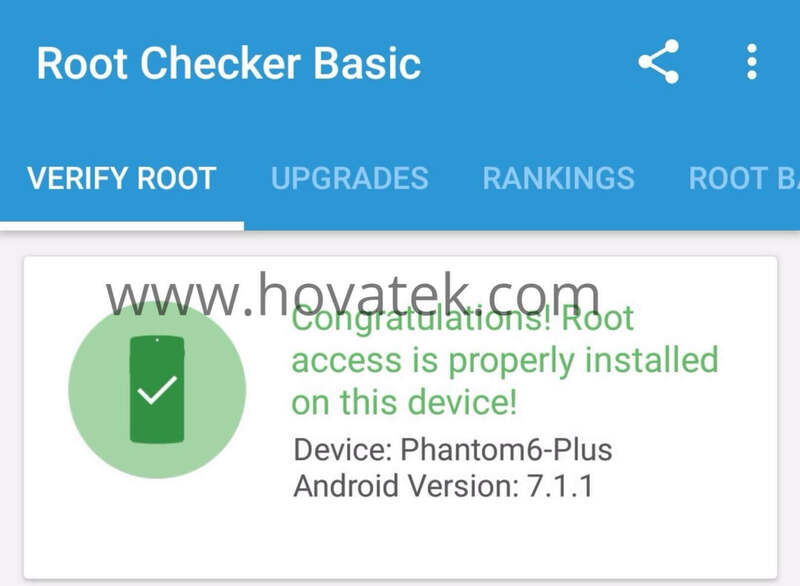 For those who have not yet upgraded their Tecno Phantom 6 Plus from Marshmallow to Nougat (A9-H971A-N1-170725V72), simply follow the guide @ https://journal.hovatek.com/how-to-updat...pdate-zip/ . For those who have successfully upgraded to Nougat and are looking to root, this guide will explain how. How can I root my Tecno Phantom 6 Plus (Nougat) ? Thanks very much method 1 worked for me..
unroot not possible by flashing boot.img, it get stuck at boot. (04-29-2018, 10:25 PM)bornface mubanga Wrote: unroot not possible by flashing boot.img, it get stuck at boot.